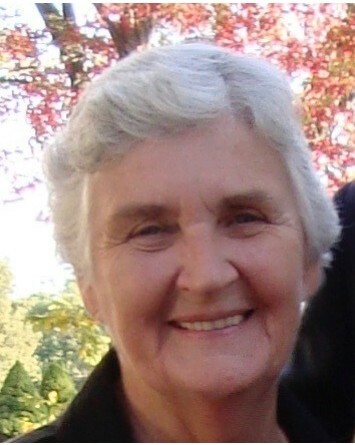 Mary Faith (Crowley) Pikiell, resident of Bristol, CT and Ft. Myers, FL., died on Saturday, February 9, 2019. Mary Faith was the loving wife of 57 years, to the late Joseph F. Pikiell. Mary Faith was a devoted wife, mother, grandmother, great grandmother, aunt, and friend. Mary Faith was born in Bristol, CT on October 25, 1934 to the late John J. & Dorothy (O’Hara) Crowley. She was educated at Sarah Reynolds School and Bristol High School. She received her Bachelor’s degree from Elms College in 1956. Mary Faith taught at St. Stanislaus & St. Joseph Schools in Bristol until her retirement in 1996. In addition to being a wonderful wife, she was a doting mother to nine, very grateful children. Mary Faith was always there to provide an encouraging word, a hug, or a smile to her children, nieces, nephews, neighborhood kids, and her students. She also spent many hours with Joe supporting their children and grandchildren at various sporting events. Mary Faith was a devout Catholic and strongly supported Catholic schools. Quite simply, she was just a wonderful and kind person. Mary Faith is survived by her children and their spouses; Anne and Paul Holihan of Bristol, Jane M. O'Brien of Manchester, NH, John and Marie Pikiell of Chantilly, VA, Paul J. Pikiell of Oglethorpe, GA, Sr. Joan F. Pikiell, SSND, of Baltimore, MD, Patricia and Robert Schmid of Ft. Myers, FL, Stephen and Kate Pikiell of Far Hills, NJ, Timothy and Deb Pikiell of Bristol, and Helen Greaves of Tamarac, FL. She is also survived by 18 grandchildren and 11 great-grandchildren. She also leaves behind her sister, Dorothy Chekas of New Britain, CT, brother-in-law Jerald Marcoux of Bristol, sister-in-law Patricia Crowley of Bristol, and many beloved nieces and nephews. She was predeceased by her sister, Grace G. Marcoux, and brother, Arthur D. Crowley. The Funeral Mass will be celebrated at St. Matthew Church, 120 Church Ave., Forestville, on Saturday, February 23, 2019 at 11:30 am. Those wishing to attend, please meet directly at the church. Burial will be private. Friends and Family may call at O'Brien Funeral Home, 24 Lincoln Ave., Forestville on Friday, February 22, 2019 from 5:00 to 7:00 PM. In lieu of flowers, the family requests contributions be sent to either of the Bristol Catholic Grammar schools; St. Joseph School, 335 Center St., Bristol, CT 06010 or St. Matthew School, 33 Welch Dr., Bristol, CT 06010; or to a Catholic School or charity of the donor's choice. To leave an online message of condolence, share a memory or a photo, please visit Mary Faith’s memorial page at www.OBrien-FuneralHome.com.